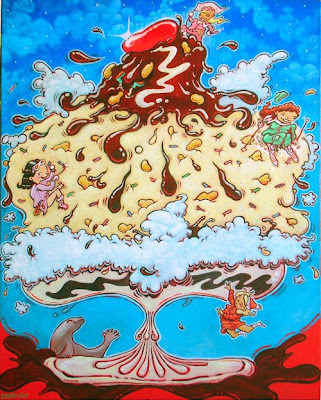 The big ol' sundae. It's 24x30 acrylic on canvas. It's a true hit for the summer. So get them spoons ready for this tasty treat today. It may take a good eleven to sixteen weeks to finish this one off! She's for sell. Just email me, astattmiller@yahoo.com.